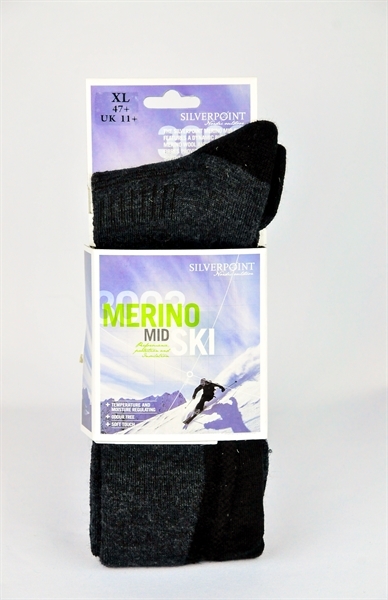 The Siverpoint Merino Mid Ski features a dynamic blend of merino wool and synthetic fibres providing performance, softness and warmth all at the same time. 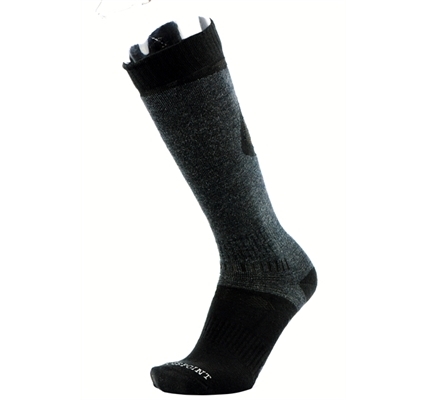 While the merino wool gives the sock a natural and luxurious feel, the right mixture of synthetic fibres wick moisture from the inside to the outside to keep your feet dry. 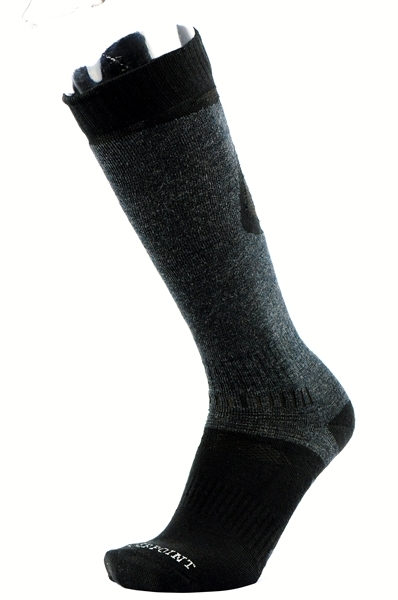 This blend of yarns also helps the socks more abrasion resistant and gives them a soft touch.